PrintFleet is a cloud-based print management solution which offers remote monitoring functionality for managed print service providers and helps OEMs, suppliers, and resellers to control and maintain their customer relationships. With its integrated modules, PrintFleet LINK, PrintFleet Vision, PrintFleet Enterprise, PrintFleet Corporate, and PrintFleet Quick Access, it offers a range of features for monitoring, maintaining, servicing, and supplying printers and materials. PrintFleet is powered by a custom data collection agent (DCA) which collects critical print device information, such as performance data, supply level data, and meters, and uses it to provide end users, dealers, and partners with reports and analytics in real time. The PrintFleet LINK module leverages online data to manage service delivery, supply fulfillment, assessments, and billing, as well as generating analytics and facilitating integration with third party platforms. PrintFleet Vision offers remote monitoring services in the form of capturing, storing, and analyzing printing data across multiple locations and an unlimited number of devices. PrintFleet Enterprise helps businesses monitor, maintain and supply printers from manufacturers, while PrintFleet Corporate aids with managing devices from multiple manufacturers and maintaining device data on-site. PrintFleet Quick Access is a rapid data collection tool to assess a customer or prospects print environment through a detailed snapshot on billing, supply and service. There are currently no reviews of PrintFleet. Contact PrintFleet for pricing information. • Integrate PrintFleet’s modules; LINK, Vision, Enterprise, Corporate, and Quick Access, to build an all-in-one print service management solution. • Benefit from detailed analytics to benchmark the business against others in the industry, and monitor performance in real time. • Connect print devices to solutions providers directly in order to automate inventory tracking and supplies fulfillment to customers. • Monitor an unlimited number of devices remotely using PrintFleet and capture, store, and analyze critical data from across locations and devices. • Benefit from PrintFleet’s real-time alerts to flag issues as they happen and maintain insight into all devices from one central platform. Below are some frequently asked questions for PrintFleet. Q. What type of pricing plans does PrintFleet offer? Q. Who are the typical users of PrintFleet? Q. What languages does PrintFleet support? Q. Does PrintFleet support mobile devices? Q. Does PrintFleet offer an API? No, PrintFleet does not have an API available. Q. What other apps does PrintFleet integrate with? Q. 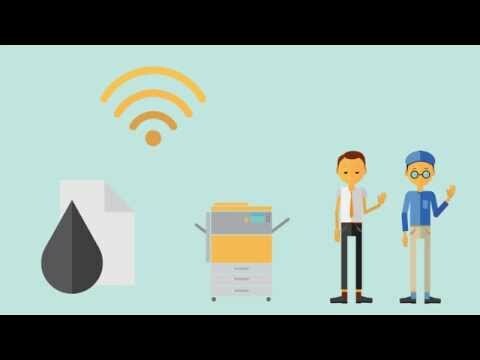 What level of support does PrintFleet offer?